A "thorough and efficient" education, as guaranteed in the Maryland Constitution, includes school buildings that are healthy and safe and that support a high quality 21st century curriculum. Decades of research show unequivocally that school building deficiencies such as inadequate temperature control, lighting, ventilation, and science labs have a detrimental impact on student achievement and health. 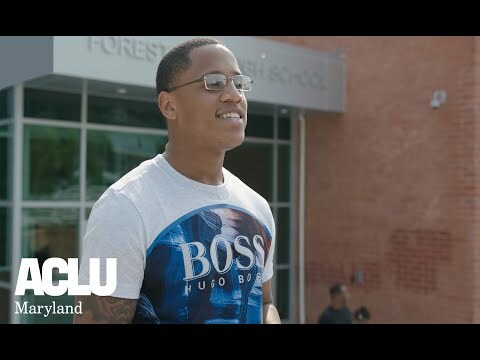 Since 2002, the ACLU has advocated for local, state, and federal funding to improve old and inadequate school facilities in Baltimore City and in other low-wealth districts in Maryland. Over the past decade, the ACLU has been instrumental in increasing state school construction funding for all Maryland districts and played a lead role in developing the financing structure and establishing Baltimore City's $1 billion school construction program. What’s possible for Baltimore City schools? This! We are starting to see the inspiring results of the organized community campaign that got a $1 billion legislative bill passed to build 28 new schools in Baltimore, the 21st Century Schools Buildings Program. Let’s fight this coming legislative session to make modern school buildings the reality for all children in Baltimore City. We still have 100 schools that still need to be rebuilt or renovated. Dorothy I. 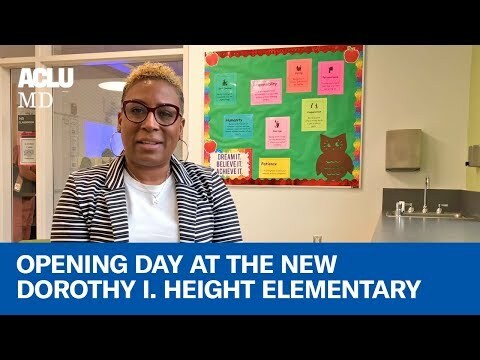 Height Elementary is one of the first or 28 new or renovated in Baltimore's 21st Century Schools Building Program. 90% of school buildings in Baltimore were in poor condition. An organized community campaign is changing that!